It’s never too late to create a life you love! It's as easy as picking up a pen and writing a new story! I had the honor and pleasure of meeting the late Rep. Barbara Jordan from the State of Texas back in the summer of 1978 when I was part of a huge march on Washington in support of passage of the Equal Rights Amendment. For those of you who might be too young to know who she is, this beautiful, brave, strong woman delivered an impassioned speech about the Constitution before the United States Congress and the world during the impeachment hearings for then President Richard Nixon. It was rumored that she might well be the first woman, and a Black woman at that, to be nominated to run for president. Sadly, a debilitating illness and her untimely death took her from us all too soon, but her legacy lives on. I came across the above quote while searching for a topic to write about today and her words rang out to me across the years. There comes a time in all of our lives when we need to stop living in the past and planning for the future and live our authentic lives right now where we are. If we start the day with a to-do list, we have already given our day away to someone or something else. When we wake up in the morning and ask ourselves what we can do this day to make ourselves happy, to make us want to get up and greet the day, we own the day. I’m certainly not advocating that we simply disregard our responsibilities, but, let’s face it, the dust will still be there when we’re done exploring that new gallery, and the dishes can still get washed when we get home from our art class, and the laundry will get folded while we listen to our French class via an audio book lesson. What I’m saying is that we spend so much of our lives trying to be responsible for them that we forget to live them. Never, never, never, let your to-do list take the place of your to-be list. Find something exciting in each day even if it’s just the chance to sit down with that new mystery you’ve been dying to read … which you can read while the dishwasher is running! This week over on the Home Page, our writing assignment will challenge you to find the excitement in your day. As always, have fun with this and remember to just keep writing. I came across this delightful quote while reading a thoughtful, helpful, healing book called: “Women Rowing North: Navigating Life’s Currents and Flourishing As We Age,” by Mary Pipher. In it the author helps us to prepare for this journey called aging the way we would prepare for a trip – by taking note of the challenges, testing our travel skills, acknowledging who will be with us on this trip (or not), and heading out prepared to meet whatever comes up along the way. Of all the books I’ve read on conscious aging, especially as it pertains to women, this is the best of the lot. However, it was the above quote by Madeleine L’Engle that really got me thinking. How many of us spend countless years trying to run away from who we used to be? We’re told from the minute we start school to “grow up, you’re not a baby anymore.” The older we get, the more we are asked to deny the parts of ourselves that shape us and make each of us unique, all the magic of childhood, the vivid imagination, the creativity. We are asked to take it all and pack it away. We don’t need it anymore because we’re growing up. These are not the tools that adults use or need to navigate the world. What adults need is the ability to work hard, build character, be successful, and retire to Florida when we’re done. Our parents meant well, but they were only doing what they had been taught by their parents. All those things may make us successful, but none of them will necessarily make us happy. What brings joy and meaning into our lives are the tools we used in all the ages we’ve been from childhood on upward. Artists may benefit from a good art education, but it’s imagination, creativity and, yes, even a little magic, that creates the joy that flows from their brushes. It’s the magic and creativity that shapes the characters in our books, or the words spoken on a stage. Even when we get to that place where we no longer have to think about living a 9 to 5 existence, it’s the memories of all the ages we’ve been, and all that we have seen and experienced, that creates our lives after 50, or 60, or beyond. Why retire to Florida when you can hike the Appalachian Trail, or study yoga in India, or take up painting, or write that mystery series you’ve always wanted to write. It’s not the adult work ethic and the nose-to-the-grindstone mentality that will get us there. It’s the 10-year-old inside us who is finally in charge of her life and that means an adventure. When we hold on to all the ages we’ve been, all of life is an adventure. This week over on the Home Page, it’s time to release your inner Indiana Jones and call up your own hidden 10-year old. As always, have fun with your assignment and remember to just keep writing. I am all about watching for messages from the Universe. My own experience has shown me that our messengers aren’t always human but, in many cases, come from the animal world. In my own life, birds have been my messengers most often. I think it stems from the fact that for most of my life I was terrified of heights. I wouldn’t even stand on a ladder. It wasn’t until I turned 50 that I found the courage, along with the strong arm and love of a dear friend, to get on a plane for the first time all the way to LA from PA … talk about your tests of courage! So I am always open when a feathered friend puts in an appearance and lingers for a while until I stop what I’m doing and pay attention. Last week, in-between days when March and April were still fighting it out, Spring put in an appearance and brought a day so glorious that I grabbed the chance to take a nice, long walk, followed by spending some time on a bench in the courtyard of our apartment complex to watch the trees waving in the breeze and listen to the birds all around me singing their little hearts out. Normally, along with what I refer to as “The Regulars” – finches, robins, chickadees, crows, blue jays, and the like – we also get a small flock of geese who choose not to go south for the winter. Since I live between a lovely little river to the south and farm lands all around the outskirts of town, they have food, shelter, and no need to leave home. So, on this particular day, seeing movement in the corner or my eye and seeing a much larger bird soaring overhead, I at first took it to be one of the geese. Shading my eyes with my hand, I saw that it was not a goose, but a hawk, a big, beautiful hawk, gliding in circles over my head, catching the current and riding it with grace and beauty. I have never seen a hawk flying over my home in the 2 1/2 years that I’ve lived here so I paid close attention to it. It continued to circle around and around over my head, its circle growing larger and large with each pass, until it finally moved off in the direction of the river. I wasted no time in climbing back up to my own 3rd floor perch and digging out my books on animal spirit messages. It said that hawks represent keeping our eyes open to what is going on around us and being able to see the big picture. It also tells us to let go of the limiting beliefs that weigh us down and keep us from soaring. What a great metaphor! You better believe that I whipped out my journal and began to do some “big picture” searching of my own. This week, over on the Home Page, our writing assignment will ask us to identify what is keeping us from seeing the big picture and weighing us down when we could be catching the wind and soaring! As always, have fun with it and remember to just keep writing. Have you ever been in one of those situations where, after think you’ve done all the work on yourself to get out there and live your authentic life, you are asked to walk your talk up close and personal … and the old belief system clicks back on from habit, if for no other reason: I’m not ready, I need more time, What if I fail, Maybe I was wrong …” That’s exactly what happened to me this week. It’s all well and good to sit at a desk looking out over a beautiful view and spout words of wisdom – where no one can see you – but it’s another thing entirely when you are asked to come out from behind the curtain and show them how it’s done. On Sunday, I was asked to consider taking a part-time position at my new church that would involve helping to revamp and grow the education department … I would be teaching both adults and children how to live authentic lives based on the principles of peace, love, and acceptance, or, as we say here: “Open Hearts, Open Minds, Open Doors.” My immediate response, which just popped out of my mouth before I even had time to think was: “No, thanks, I don’t think I want a job again at my age.” My age? What gives? Am I not always preaching about not letting age have anything to do with the lives we choose to live? Or was I using the age card to get out of having to get out there and help where help was so desperately needed … for the children. The future of our church, our community, and our world was in the hands of those kids, and so many of them did not have the tools to even get through a day at school without living in fear. I was called to serve, to teach what I knew. No more words, no more catchy slogans or inspirational quotes. Action speaks louder than words. I went home and thought about it. I prayed on it. I meditated on it. 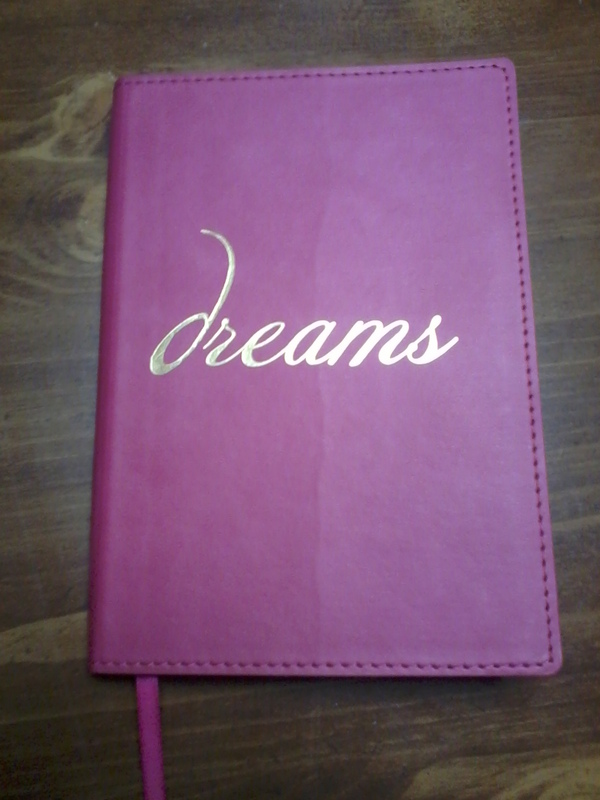 I journaled on it. I even drew oracle cards on it. Know what they said: Divine Wisdom Guides Me … I am exactly where I need to be … I can, I am able, and I will. So I set up a meeting with the pastor and discussed my ideas. Turns out we were both exactly where we needed to be. We both had the same ideas and beliefs about what needed to be done to reach out to the children and adults of our community and give them the tools they needed to not only grow but to thrive … to build true, authentic lives for themselves. I told her I would think about it and give her my answer on Sunday, but I already knew in my heart what the answer would be. It came when I said: “I’m excited and scared all at the same time, ” to which she replied, “That means you’re exactly where you need to be,” – the same mantra that had come up on my morning meditation that very morning! I still have to go through the vetting system, be interviewed by their Education Committee, have a background check done, etc., but somehow I feel that these people who have welcomed me and loved me from the moment I walked through those doors will love me through this, too. They are as authentic a bunch of people as I have ever had the good fortune to meet. So this in my challenge to all of you this week. I want you to do something that pushes you out from behind the curtain and out of your comfort zone. I want you to walk your talk. Over on the Home Page, our writing assignment for this week is asking all of us to take that challenge and put it into words, remembering that words have power on the page. As always have fun with this, and remember to just keep writing. Happy, Happy First Day of Spring! Today dawned bright and beautiful even if there was still a bit of frost on the windshields of the cars and the rooftops. Here in upstate New York where the weather changes more often than your thoughts, we are being gifted with a warm-up to near 50 degrees today and sunshine throughout. Of course, rain and snow are in the forecast for the end of the week, but for today, I am grateful that Mother Nature decided to gift us with a perfect start to Spring. There is a thin, spindle of a tree on the front lawn of the house next door. Every day that we have gotten up into the 40’s and above, I’ve been anxiously looking at the tips of the branches for the first sign of buds. For some reason, that is my sign that spring has finally arrived regardless of what the calendar says. It symbolizes new beginnings and hope for the future. Unlike others who see New Year’s Day as the start of a new year, I have two other days that mark new beginnings for me: the first day I see new buds on that tree, and the first day of school in September which challenges me to learn new things. Just like the tree produces new buds after a long, cold and dark winter, we have the power deep within our own roots to set out buds for a new, authentic life. We can take all that we have learned through the trials and tests of our lives – the winters of our lives, so to speak – and use them to send out energy in the form of new ideas, new habits, new perspectives, and new commitments to ourselves that, like buds on the tree, will grow into something beautiful. I can only speak for myself. I write because I have to, because it is how I make sense of the world. It helps me to get clear on what is working in my life, what isn’t, what options I have, and what calls to me as an authentic response. Like that which fuels the buds to burst forth on the trees, writing is what fuels my life to bloom. This week on the Home Page our writing assignment is going to ask you to send out some buds of your own. As always, have fun with it and remember to just keep writing. It is inevitable that while you are searching for one thing, you come across something else, something you didn’t even remember that you still had. Such was the case last week while I was tearing through my file drawer looking for the instruction pamphlet that came with my little desktop air purifier so that I could copy down the number for the replacement filter that I needed to purchase. In a folder right behind the one holding all of my appliance instructions and product information, I saw the dark green spine of a small notebook sticking out. Pulling it out I smiled as I realized what it was, a notebook of poems I had written way back when I was in college. I opened it up to a random page and immediately knew I was meant to see this again. The poem was dedicated to one of my teachers. In fact, it was for a very special teacher, one that I knew for only one day, but whose lesson has stayed with me for over 30 years! As many of you know, I returned to college in my 30’s, balancing school, work, home and children. It took me 6 years to complete 4 years of college, starting out very part-time in the beginning and moving to going full-time while holding down a part-time job in my Sophomore year. When I was a senior, just a few months before I was to graduate, I was asked by the heads of the Religion and Philosophy Departments to participate in something very special. The school was creating a Visiting Professorship in the Humanities that would rotate from department to department every two years. In particular, they were looking for a Cultural Anthropologist and each of the department heads for the various Liberal Arts subjects – religion, philosophy, English and Sociology – were asked to send two or three of their top seniors to meet with each candidate for the job, spend some with them to get a feel for their teaching styles and knowledge of their subject, and then attend a guest lecture.. We were to vote for the person we thought would be the best fit and the most talented to fill the chair for the next two years. My vote ended up going to the one for whom this poem was written. In one day she taught me more than 6 years of classes had managed to do. Her name was Professor McDonegel. She was originally from the West African country of Ghana. She had met and married her husband, an American, while in college – which explained how a woman from an African nation had such an Scottish-American name – and moved with him to the United States to complete her education, earning a Ph.D in Cultural Anthropology. She asked us to call her Aba, her African name. It’s time to stop hiding behind these academic walls, go out into the world, and DO something! Her eyes looked so deeply into mine that I swear she could see into my soul. Her lecture that afternoon was brilliant and needless to say I voted for her without question. Sadly, the job ended up going to someone else and I never saw Aba again except in my memories, but her legacy has stayed with me for all these years. Our most valued and loved teachers aren’t always the ones that we spend years and years with. Often they are the ones that cross out path just once, but leave indelible footprints on our souls forever. This week on the Home Page, our writing assignment will give us the opportunity to say thank you to those that have left footprints on your souls as well. As usual, have fun with this and remember to just keep writing. She took my hand in farewell. From far away worlds beyond my imagination. They pierced my armor and found me hiding behind my soul. “Go out into the world and do something,” she said. Who had she found in there? Was it possible that she saw someone worth loving? my academic womb and begin my life? It’s alright to be me. P.S. As promised, the follow-up to last week’s blog post about Avalon can be found on my other blog site: https://flowerbearsgarden.blogspot.com. “Avalon is perhaps the most recent lost land, thought to have existed in the countries of the UK, Ireland and parts of Europe. It’s said that Avalon is the place where King Arthur was taken after he was deeply wounded in battle. Some believe it was a physical place, others believe it to be a mystical place of healing and others believe that it still exists in the “otherworld” today. This week over on the Home Page we’re going to take another trip, this time to the center of our souls, and see who or what is hiding there. As always, have fun with this and remember to just keep writing. P.S. If you want to find out who and what I was in my past life in Avalon, check out my blog post next week at “Flower Bear’s Garden-Growing A Life.” Hint: It has to do with gardening! https://flowerbearsgarden.blogspot.com. After the events of the last 48 hours, I have acquired a deep affinity for the character of Dorothy in The Wizard of Oz. For 48 hours we were under attack from a wind storm with gusts pushing up to 65 mph and more. At times I was sure the metal roof of my apartment building would be peeled back like the lid on a sardine can, or the giant pine tree next door – which was doing its imitation of a palm tree swaying in the wind – would come crashing through my bedroom window on to my bed while my fur babies and I tried to sleep with our heads under the covers. I spent long hours sitting as far away from the windows as I could (which, when you live in a 400 sq. ft studio apartment isn’t very far) and watched the drama fly by my window much as Dorothy did in the movie when the twister picked up her house and see saw people and animals fly by. I didn’t see people or animals, but I did see trash cans, chairs, and assorted other objects become projectiles up and down the street. An authentic life is one in which we forget about the material beliefs and ideas we’ve been brought up with and fill it with all the things that are important to us, all the things we never did because we thought we couldn’t, or shouldn’t. An authentic life can, and should, be as magical as our very own Oz only this time we get to be the Wizard. We find our brain, our heart, and our courage, just like Scarecrow, and Tin Man, and Lion, and create the life we were meant to live. So this week over on the Home Page, our writing assignment is going to give us all permission to be Dorothy and go to the land of Oz. This is one I shouldn’t have to tell you to have fun with because the fun and magic are already built-in, but in case you lose sight of the Yellow Brick Road, remember to just keep writing, and it will appear before you. The italics are mine. I highlighted those words because they seemed to me to represent the core of what “authentic” really means. I know that there are those who might look at this and say that, from a spiritual perspective, among others, “we are all one.” I certainly do not dispute that. Just the other day I was watching a video on YouTube of a talk given by His Holiness, The Dalai Lama, along with Deepak Chopra, in which he reaffirms over and over again that we are all the same, that we all share bodies, blood, air, mind, thoughts, feelings, and desires. It was a beautiful and powerful talk. However, even though we all do share these same attributes, we are also distinctive. Just like no two snowflakes are alike even though they originate from the same place and are made of the same things, so, too, no two people are alike. Even within the same family one child might show great talent in the arts, while another might excel in sports, and still another might be the family mathematician. Yet a decade or two later, these same children might end up living lives that have no relation to the things they pursued in school. The artist might have followed her heart to become a school teacher. The athlete might have become a businessman, and the math wiz may have decided to write poetry. All from the same family, yet different in their wants, needs, and interests, even shifting gears as they get older. When we set out on this journey in search of authenticity, I asked you all in the very first few writing assignments, to define what an authentic life meant to you, what it looked like and felt like. Now that 2 years have passed, we will revisit those assignments to see if anything has shifted for you. You may, indeed, have created your authentic life, or, at least the one you pictured when we started out. Or, you may have found that as time passed, you felt a calling to go in a different direction, or discovered that what you tagged “authentic” in the beginning doesn’t look or feel that way now. So, go on over to the Home Page and check out the assignment for this week. Let yourself be as honest and accurate as you can. As Mr. Webster tells us, be as faithful and trustworthy to yourself as you can. You may be surprised at how much more authentic you’ll feel when you’re done. As always, have fun with this and remember to just keep writing. Tomorrow is Valentine’s Day and all over the country people will be sharing words of love, gratitude and encouragement to those who are a part of their lives. They will thank the other person for being there for them, for loving them, and they will tell the other person how proud they are of them. So the question I have for you today is this: When was the last time you said these things to yourself? Louise Hay, my personal She-roe who I quote here often, always said that when people learned to love and accept themselves, it was easier to love and accept others and navigate through their lives. So I ask you again: When was the last time you said these things to yourself? Hey, Barb, I am so proud of the way you stuck to your intention this time and decluttered your home, how you let go of what you no longer used or brought you joy. I love how you carried this over into your life, letting go of the limiting beliefs that were keeping you back. I also love the way you made yourself do your morning chair yoga and stretches every day even when you didn’t want to. And I am especially proud of you for showing up at your desk and writing something every day even if it was just scribbles. At least you showed up and that is something big! This week over on the Home Page, our writing assignment for this week is an opportunity to pat ourselves on the back and acknowledge how special we truly are. As always, have fun with it and remember to just keep writing.